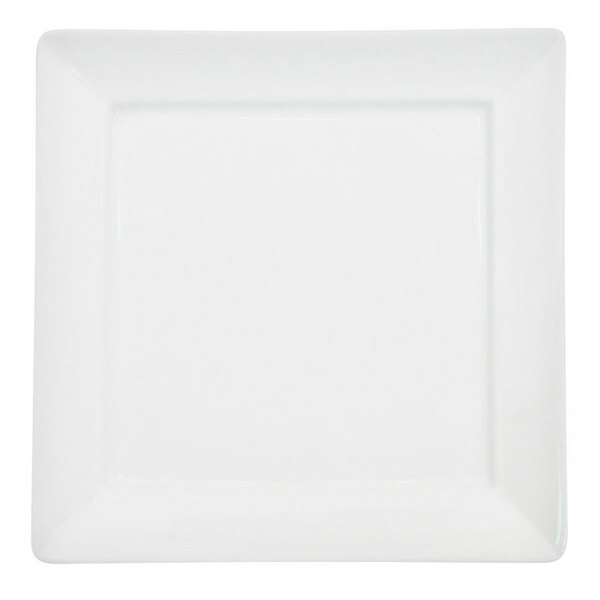 Made of thin, bone white porcelain, these CAC F-SQ16 Paris French 10 1/4" Square porcelain plates can be used to serve steak, fish, and any of your other delicious entrees. Featuring slick, pointed corners, they will complement the tabletop setting at any sleek restaurant or catered event! This is my go to plate. I use CAC for everything in my restaurant. Great quality and they look amazing. Wouldn't use any other plate in my restaurant.